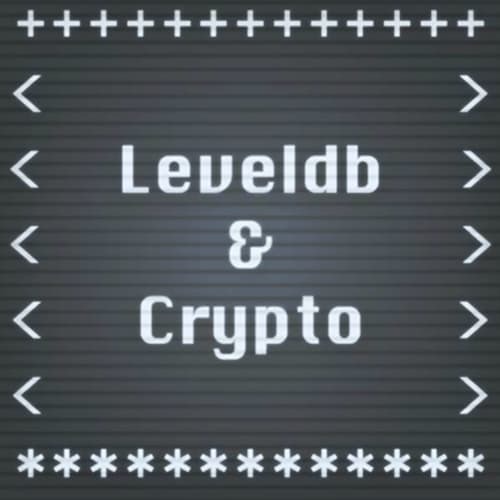 Dive into cryptography fundamentals and LevelDB to build stronger, more secure applications! Code with James Halliday as you pair modern cryptography and the modular NoSQL databases of LevelDB to help you fortify your communications systems. James Halliday introduces and sets up LevelDB, a key-value storage library written at Google that provides an ordered mapping from string keys to string values. With the LevelDB setup, James demonstrates how to organize keys for different situations such as a simple blog and creates queries against that data. James introduces how to create multiple keys for each post to create a secondary index. James adds new posts with timestamps to the database. Then James examines different ways to query that data from the LevelDB database. After reviewing the best use cases for LevelDB, James creates a demo application with LevelDB, node, and IndexedDB. James takes questions from the students about IndexedDB and LocalStorage, browser support, and more. James discusses how to use Sodium cryptography with or without a signature, using a symmetric cipher, and using public key encryption. James reviews merkle DAGs, which is a directed acyclic graph whose objects are linked to each other (usually just by their hash), where the hash(object) includes all hash(linked_object). James demonstrates how to use merkle DAGs with node using shasum, which checks for SHA checksums. James introduces Kappa Architecture, where an immutable and append-only logs are used as the source of truth. To create these append-only logs, James notes that they are built hashes that are then trivial to replicate with concatenation. James reviews several examples of kappa architecture: P2P social database; map database built on hyperlog, hyperkv, hyperlog-kdb-index; and P2P file sync over an append-only merkle DAG log.